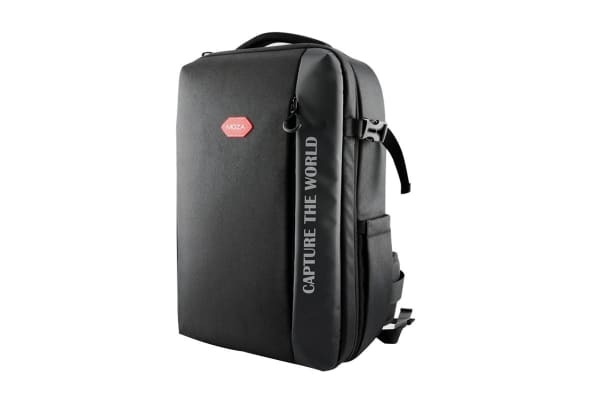 The Moza Air 2 Backpack has a large capacity space that can store up to 1 gimbal, 2 cameras and lenses, 2 professional tripods, small accessories and also a 15” laptop. 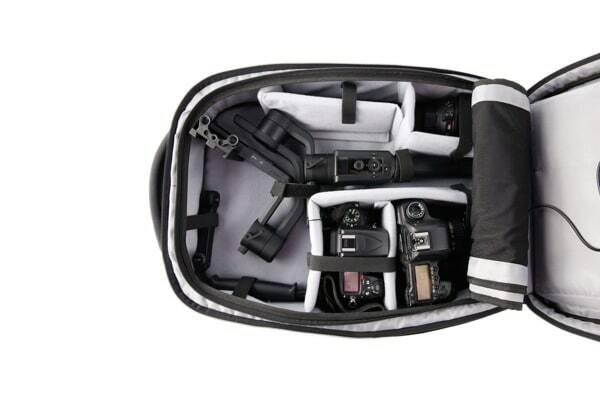 Designed for gimbal users, the Moza Air 2 Backpack can easily load the gimbal regardless of the axes status, eliminating the trouble of frequent balancing after each storage. 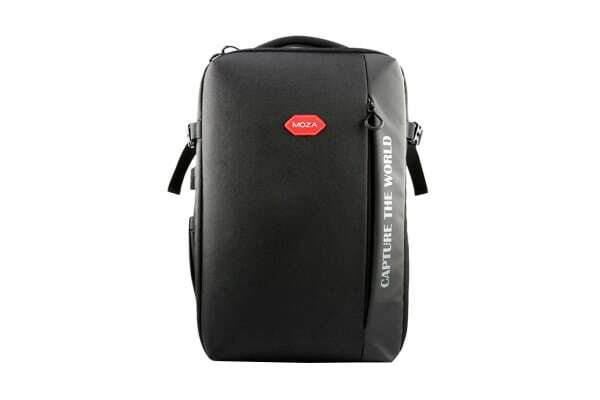 The Moza Air 2 Backpack features an asymmetric dual-layer design with the bottom compartment for large-size gimbal and cameras and the top compartment for ultra-light tablets, mobile phones and more. Between the 2 compartments is a wear-resistant divider which helps to prevent devices from getting scratches and scrapes. Onto the divider are mesh pockets for easy storage of small parts like cables, screws and more. Ergonomically contoured, adjustable shoulder straps and wide waist and chest straps with breathable mesh fabric make this backpack comfortable to carry and reduce fatigue when carrying. Also, a durable rain cover is equipped to shield the backpack from outdoor elements like rain, moisture, wind and sand. When not in use, it can be easily stored on the waist strap and doesn’t take up extra space.